We’ve rounded up the best travel hair dryer options for local and international trips. From a quick blow dry to creating intense volume in a just few minutes, these all have dual voltage and can be used worldwide! 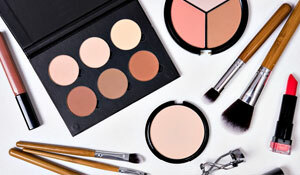 Find out our top 10 picks! 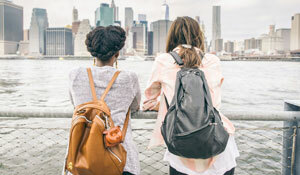 Spoiler Alert: Can’t wait to find out our top two travel dryers? These are the best two styles according to our readers (and we agree)! 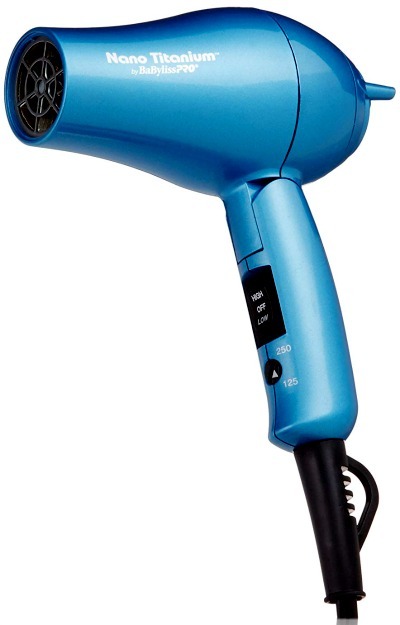 What is The Best Travel Hair Dryer? Hair Dryer vs Blow Dryer? 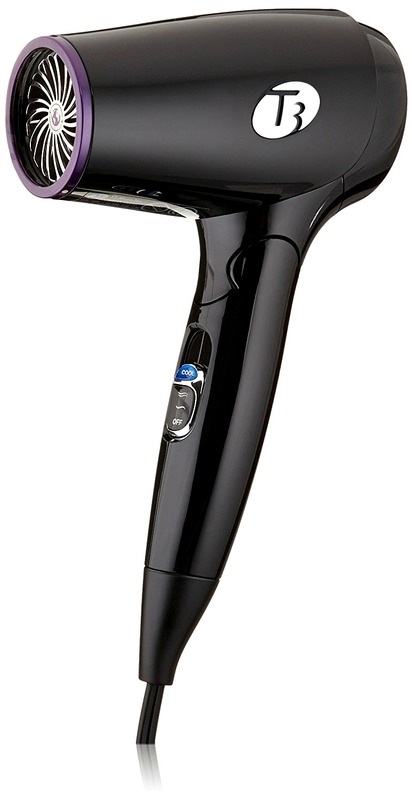 What is a dual voltage travel hair dryer? Why do you need a dual voltage hair dryer for international travel? What’s the best travel hair dryer dual voltage? What’s the best travel hair dryer for Europe? Let’s face it: hotel hair dryers can end up damaging and frying our strands. Who wants to have frizzed hair while on vacation? 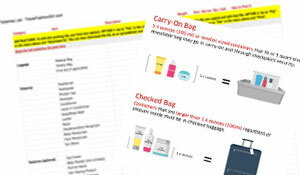 Since standard hair dryers are way too bulky to pack, there are a few ultra-compact and foldable styles that will keep your hair looking tussled and gorgeous when traveling. Tip: A well-groomed mane adds the perfect touch to your carefully planned travel outfit! For smooth and frizz-free hair in a matter of minutes, the BaByliss PRO travel hair dryer uses millions of natural ions to eliminate static electricity. 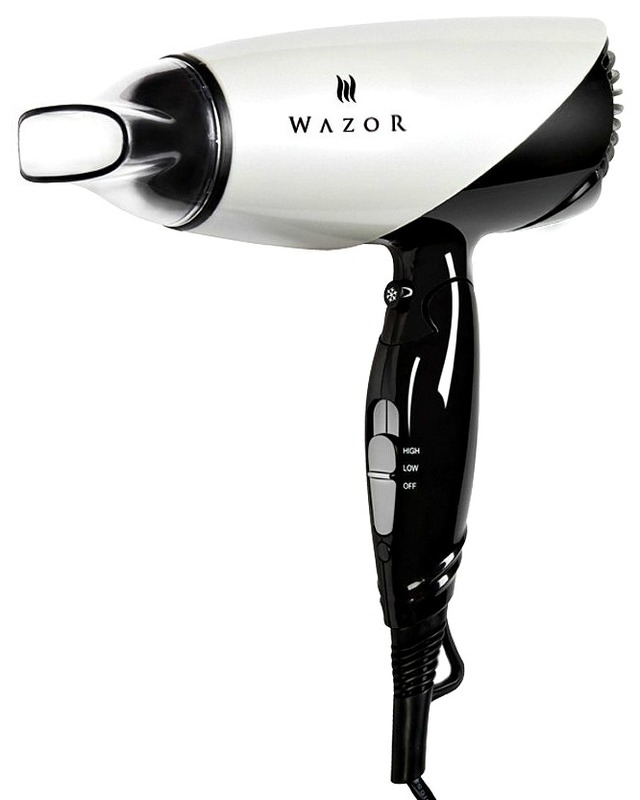 The very lightweight dual voltage dryer instantly dries hair with far-infrared heat while protecting it from damage. 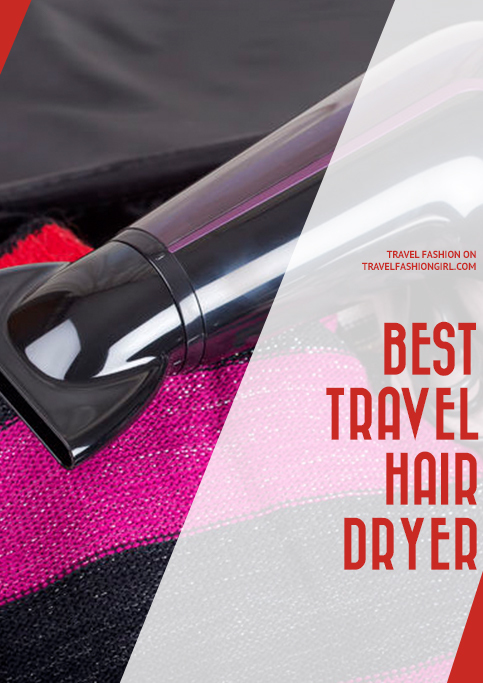 The BaBylisspro Nano Titanium Travel Dryer gets our vote and the readers’ vote for the best travel hair dryer! It’s so lightweight, good quality, well-priced, foldable, and dual voltage. Buy it here! For an ionic blowout, the sleek and compact Hot Tools Professional offers multiple settings and attachments for even heat distribution. The travel styling tool is 25% lighter than regular dryers but works just as well, making it easy and convenient to carry. We can confidently say that this is our favorite folding travel hair dryer with diffuser attachment. It’s also the one most recommended for curly haired travelers. Hot Tools wins the top two spot in our list according to our readers. Plus, it’s the lightest! 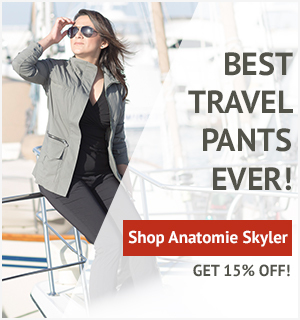 Buy it here! 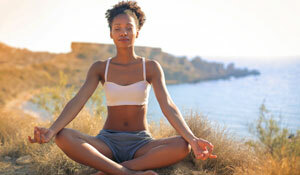 Read this post on how to style curly hair when traveling! 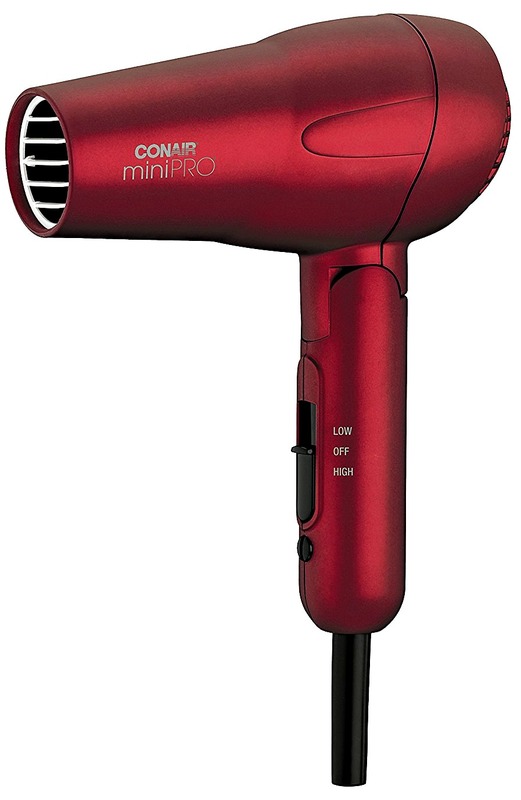 A no-fuss salon professional hair dryer that creates silky smooth hair in seconds is the Conair MiniPRO Styler. This pink compact and quiet dryer includes two attachments to create versatile styles without the bulk. Buy it here! A compact blow dryer that doesn’t hold back the power, the Conair Vagabond Compact is a mini turbo folding hair dryer with two heat settings. Weighing 1.10 lbs, this teeny-tiny blue dryer is very budget friendly for thrifty travelers. 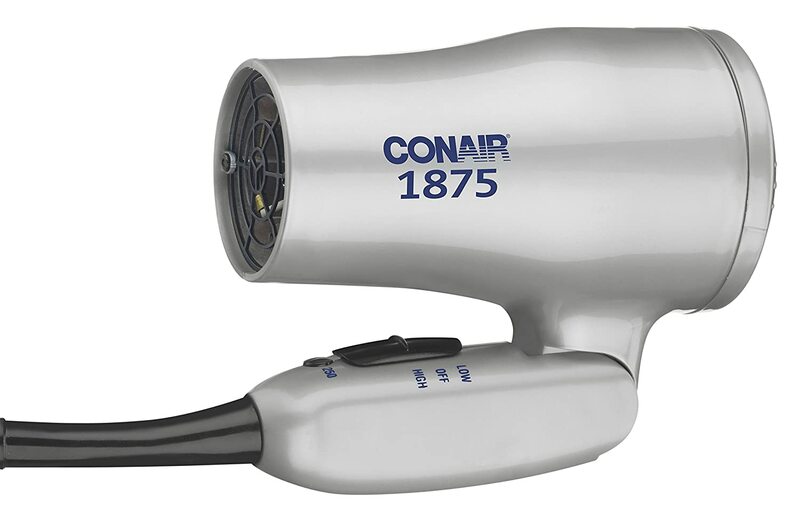 The Conair isn’t just wallet-friendly, it’s also the smallest travel hair dryer, too! Buy it here! This is another affordable travel dryer with features to make your hair goals last throughout your vacation. This Conair hair dryer features two heat and speed settings, dual voltage, and a cool shot button. 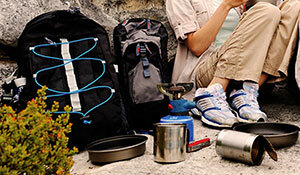 The “twist it” folding handle makes it easy to hold and pack. Buy it here! 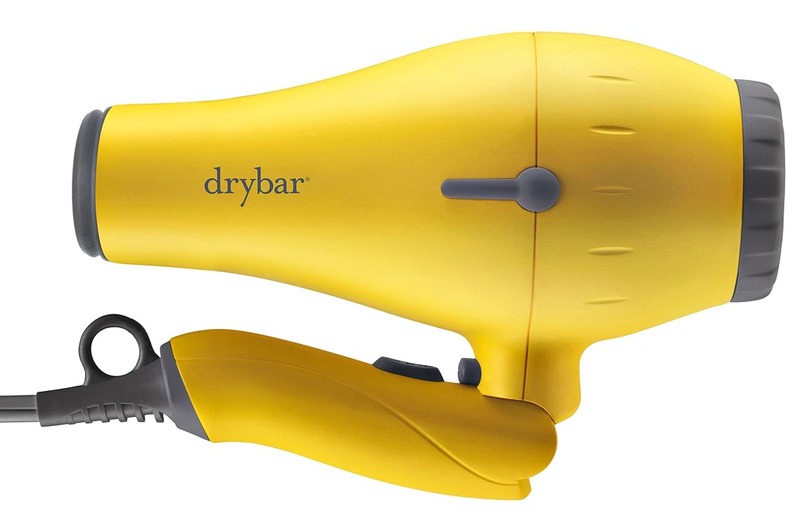 One of the lightest travel dryers on our list, the DRYBAR Baby Buttercup Dryer weighs in at 0.81 lbs, and features a cool shot button and ionic technology to get rid of frizz and flyaways. 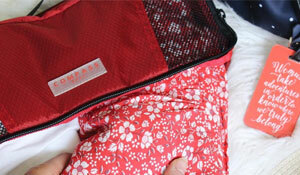 It includes a compact travel bag, foldable design, 7 foot cord, and a concentrator to create a sleek, straight blowout. 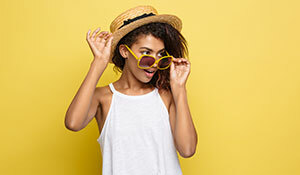 As a plus, it was designed by the US-based Drybar – the premier innovative hair salon that specializes in blowouts – and nothing else. Personally, I love using their services when I’m in the US! Buy it here! Live for blowout bars? Here are tips on how to make your blowout hairstyle last for days! 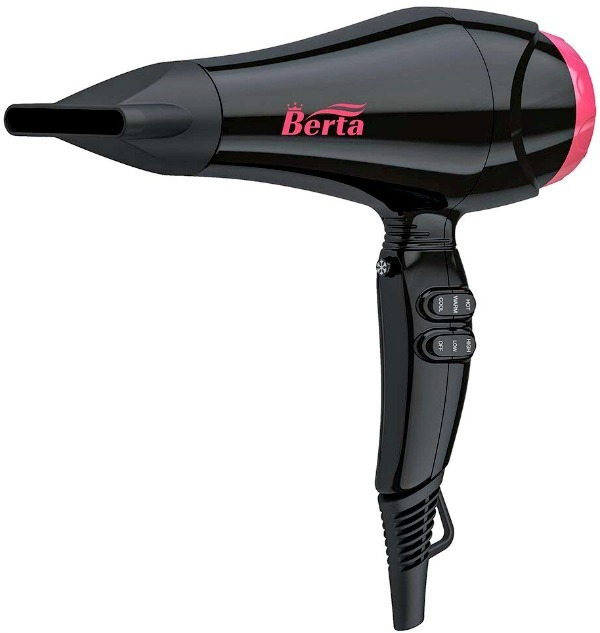 With maximum conditioning for manageable hair, the Berta Folding Hair Dryer gives you a salon quality blowout in less time, making it one of the best travel hair dryer options. With two heat settings, negative ions seal in shine and provide less static during your vacation. Buy it here! 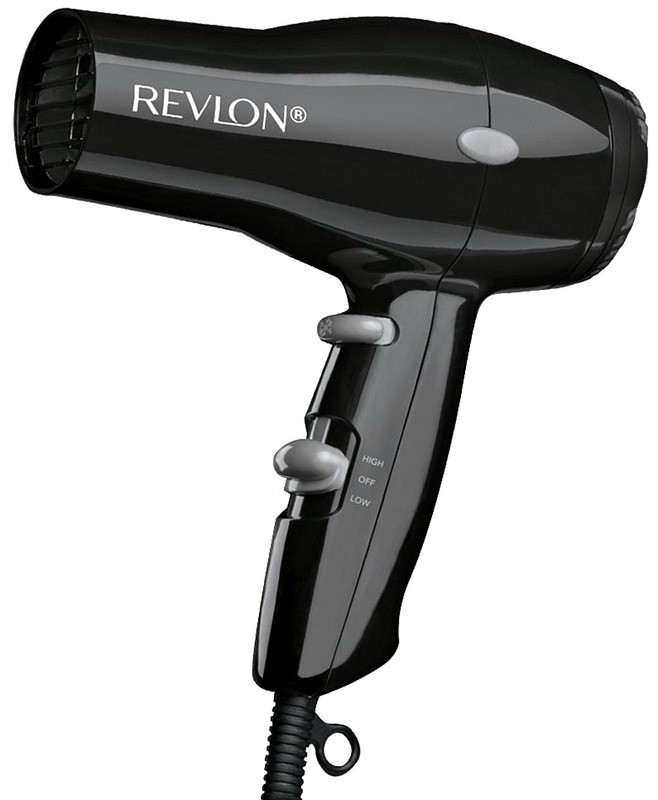 For an effortless blowout without the bulky blow dryer, the compact Revlon Travel Dryer comes with triple ceramic and ionic technology for stunning waves and volume every time. It’s perfect for trips to humid climates, with its optimal heat and ceramic coating to prevent hair damage. Buy it here! A petite yet powerful blow dryer, the T3 Micro Dryer features everything you need in a full-size dryer in an ultra-light body. The tourmaline plus ceramic technology creates smooth and shiny hair by sealing in the hair cuticle to retain natural moisture without using any mousse or serums. It includes a concentrator and 9 foot cord with a cord wrap. The most luxurious option on our list, the T3 is a the best travel hair dryer for female travelers that already use the larger size version of this brand. 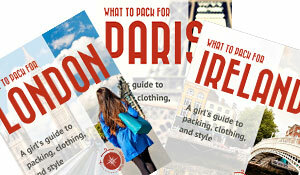 It’s also a more affordable version of the full size to use at home, not just abroad. Buy it here! 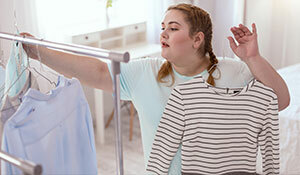 A dainty dryer convenient to travel with and store away, the Wazor Folding Dryer offers a unique air outlet grill for concentrated air flow. The ceramic tourmaline reduces hair damage and unwanted frizz while delivering shiny hair 24/7. The lightweight body and low noise allows 50% quicker dry time! It’s a must to include on our list of the best travel hair dryer. Buy it here! Remember to switch your hair tools to 220V/240V when you arrive to your destination! Read this post to learn about voltage vs adapters for hair tools. Still undecided? Here’s a quick review of the ten best travel hair dryer options. 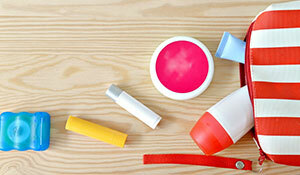 The terms “hair dryer” and “blow dryer” mean the same thing – they are just words used by different countries. The terms are both referring to a hair tool that is used to dry your hair. 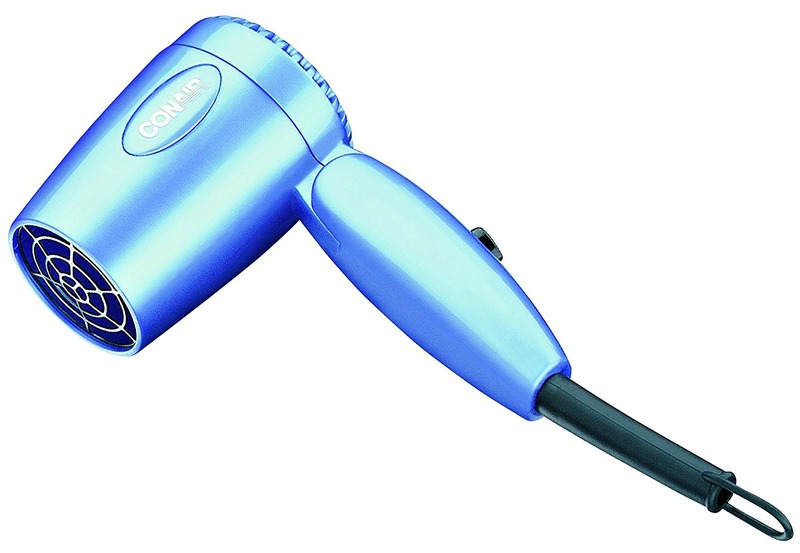 A dual voltage travel hair dryer has two voltage options: 110-120V and 220-240V. 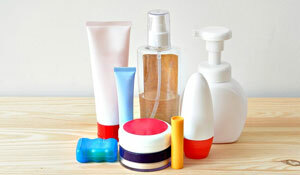 They are ideal for travel because they are safe to use at home and abroad, too. Some electronics, such as newer Macbooks and iPhones have dual voltage that automatically adjust in their destination. However, other electronics such as hair tools you need to adjust the voltage manually by moving a switch. Voltage refers to electricity; different countries have different types of electricity. This means that your electronics are the same voltage as the country in which you bought them so if you take them to another country, they may not work. For example, in the US we use 110-120V whereas in Europe they use 220-240V. If we plug our electronics into each other’s outlets they can blow a fuse and stop working. In some cases, they can even fry your hair. Visit this website for a full list of voltage by country. Hair tools such as blow dryers, wands, curling irons, and straighteners use up a large amount of electricity so it’s particularly important that they are used with the correct voltage. 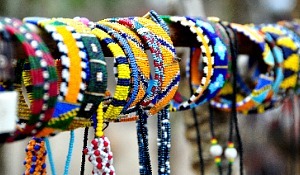 Some hair tools are designed so they can be used in different countries. This means they’ll be labeled as “dual-voltage”. A travel adapter enables you to plug your non dual-voltage electronics into international outlets. Not all countries use the same type of plug so I recommend you buy an international adapter like this. Visit this power outlet guide for travelers to see a full list of plugs and outlets by country. 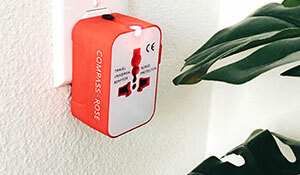 All of the options listed in this post are compatible with international voltages to make it easier to take them anywhere in the world. 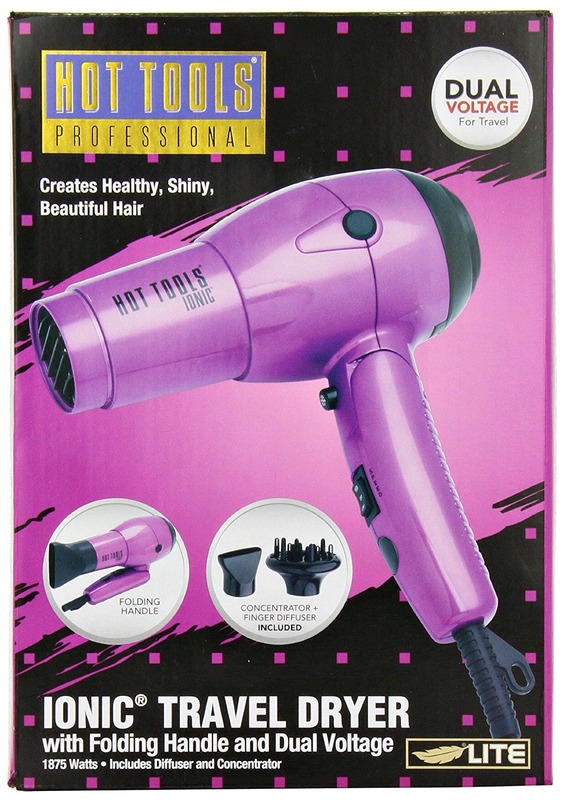 If you’re from the US and traveling to Europe, Asia, Africa, or the South Pacific including Australia and New Zealand then a dual voltage hair dryer is absolutely essential. If the one you use at home has the dual voltage feature then you can also use it on your travels, too. Remember to switch your hair tools to 220V/240V when you arrive to your destination! These compact and handy blow dryers will not only save space in your luggage but give you the best hairstyles during your trip! Do you have anything to add to our list of the best travel hair dryer? Comment below! Do I Need a Travel Blow Dryer? 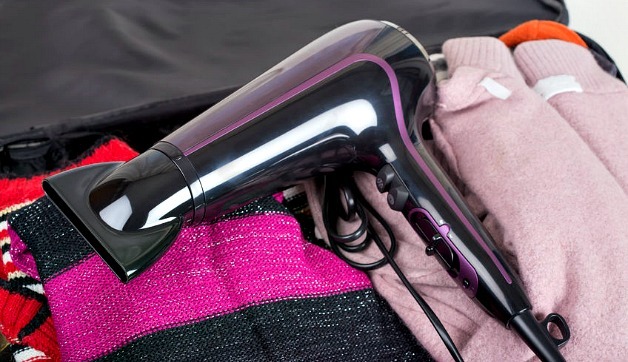 We hope you enjoyed this post on the best travel hair dryer. Please share it with your friends on Facebook, Twitter, and Pinterest. Thanks for reading! The babyBliss hair dryer lasted for 2 and 1/4 blow drys. 2 and 1/4. That’s a lot of money, figuring cost per use. Hi! I have the BaByliss Tourmaline Titanium 1500 and I love how small and light it is. But for my hair I really need a diffuser or else it just looks puffy. Do you know if there is any diffuser out there that will fit it? Thanks! I need a hair dryer that has buttons for high heat and VERY LOW blowing stream. Any thoughts? I swear by the Sephora Collection travel dryer. Dual voltage, super powerful, has a defuser and only costs $33 CAD! It’s probably one of the best dryers I have used ever, not just against other travel styles, but regular as well. Good tip Katie thank you!